November 10-14th at the BTC! Last week kicked November off with a blast! We played lots of sporcle, had an awesome 4:37 (bunny bunny bunny bunny! ), and even redesigned the BTC! 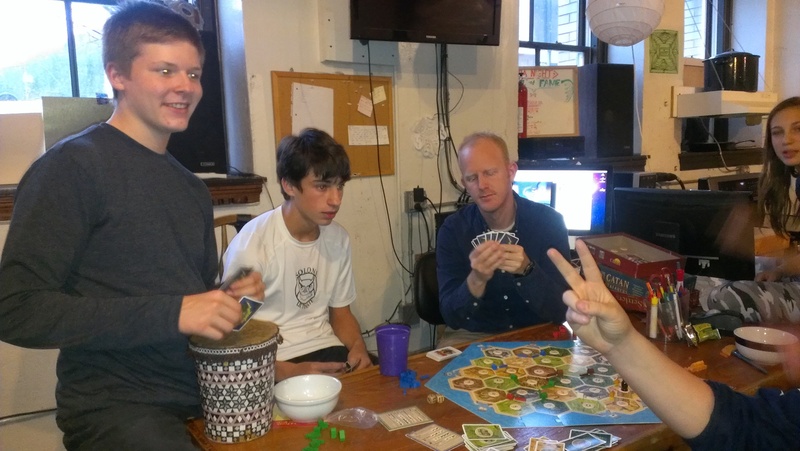 And, we can’t forget all Friends of Catan…ahem, I mean, Settlers of Catan we played. Check it out! Friday, November 14th: Open Mic Night! Now, can anyone trade me some sheep! ?